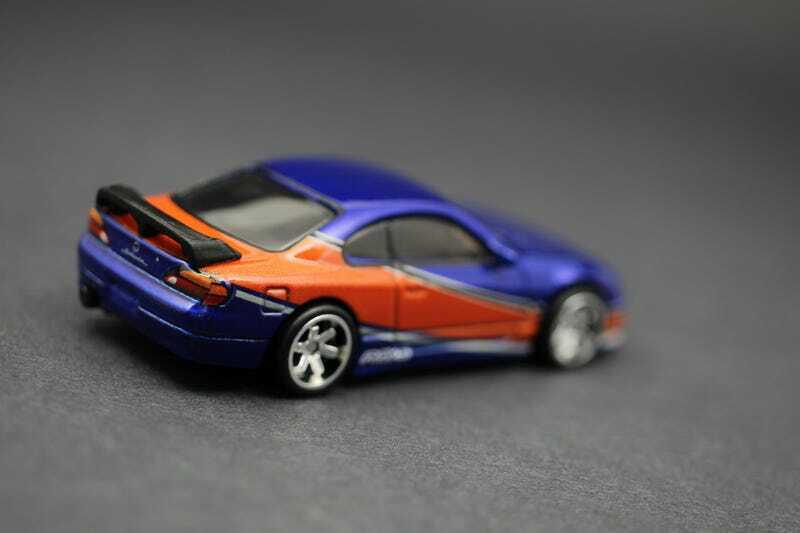 The second car from the series come from the third film: Tokyo Drift. Chronologically, this film takes place after the Fast and Furious’s 6th installment, however they make the fatal mistake of trying to convince us flip-phones, Nissan 350Z’s, and Lil’ Bow-wow are still relevant in the future. The movie comes with a complete departure from the characters we had grown to love in the first two movies. We’re introduced with the main guy, I forget his name, trying to be a car guy in the ‘burbs. He challenges the guy from Home Improvement to a race for ownership rights to Home Improvement guy’s girlfriend. Home Improvement guy drives a Viper procured by his father while the main guy drives a souped up Monte Carlo. The Monte looks terrible, but is a beast under the hood; a true sleeper. Destruction ensues, because street racing is bad. Daddy’s lawyer gets Home Improvement guy and his girlfriend off the hook, but the main guy is an outcast. His father, a naval officer stationed in Japan, moves his son there to stay out of trouble. The main character gets involved with the local car scene which is all about the art of drifting, and he has to learn how to do it. Token cool guy Han takes the main character under his wing and teaches him his ways. Han is usually slouching, leaning against cars, and eating snacks; typical cool guy things. Unfortunately, Han tosses the keys of this Silvia to the main guy, who promptly destroys it in his first drift race. Han is clearly a fan of the Denver Broncos. PS. Han dies in the end while driving a much cooler car: the Veilside Mazda RX7.